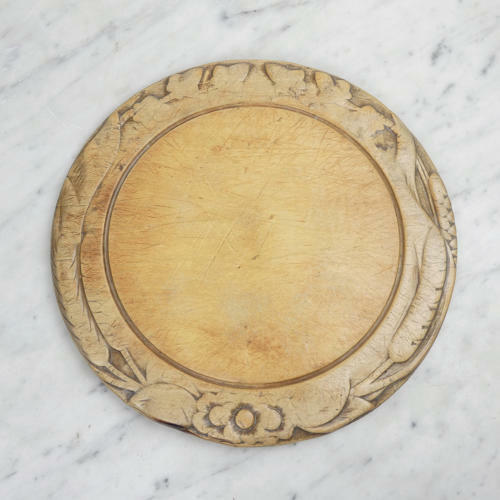 A Victorian breadboard carved from sycamore. This board has very attractive carving to the border and it dates from c.1860. It is carved with ivy leaves, barley and flowers. The carving was originally very deep but now it is quite worn with use. This adds to the character of the board. The wood has a rich patina. There is scratching to the face of the board, again from use, but other than that it is in good condition.